The summer breeze is blowing somewhere near and the summer sunshine is already making its presence felt. For many of us, the beach season comes right after the mad holiday season, and some of us are itching to feel the sand on our feet and the salt on our skin. If you're looking for perfect family and barkada getaways near Manila, Anawangin and Nagsasa Coves in Zambales are awesome picks. With its white sand beach, a scenic river and mountain view, crystal clear waters, and great setting for sunrise and sunset, these two famous coves simply took my breath away when we first met. Dirt cheap budget, perfect place to commune with nature, and a company of great friends, these are some of my camping experiences which stuck with me for a long time. I still consider these trips my favorite weekends while traveling the Philippines. With the fame it has been enjoying for the past years, it's no surprise that these two coves are heavily packed with visitors during summer. I appeal to those planning a trip there to not leave any trash, especially in the beach area. Bring a trash bag and dispose it properly. Better yet, take it home with you. 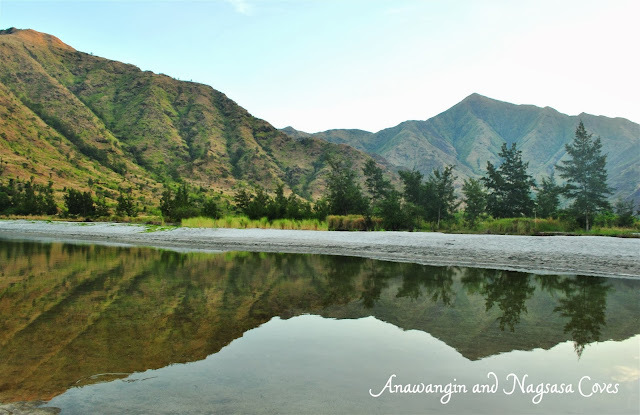 More of my stories about Anawangin here and Nagsasa here. Good day miss che, i just wanna ask if its ok if we camp there or we have to rent a cottage nearby?, i plan to go there with my friends this coming feb., i was so inspired by your blogs.. Hope you can helo me. Thank you. No worries at all, mark. My pleasure to help. I wonder if you plan to travel alone or if you'll be in group. Budget depends on the number of people travelling. Nagsasa is about 30 minutes away from Anawangin and although I remember there is a small sari sari store in Nagsasa, make sure to bring your own provisions (food, water) just to be safe. It's also important to waterproof your things as the boatride going there can be pretty rowdy. cheers! hi mam. i want to thank you for the blog. i fell in love with the beach when i spent summer vacation in Bohol. i suggest that you try visiting there.. the views are just as breathtaking as the ones uve visited.. but in Bohol the beach is like Boracay less the crowd and pollution.. it also has long stretches of coast.. white sand, crystal blue waters.. id like to make a blog of that summer vacation however all of my pictures were lost.. im sure you wont regret going there! im marketing the place because they need to boost their tourism to recover from the recent eartquake. thanks! Hi Jesabelle! 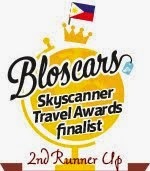 I love Bohol! I already had few blogs about this amazing province. Thanks for dropping by. You have an amazing pictures while you were in Anawangin Zambales, I just want to ask if there are any island that me and my friends can go through aside from Capones Island and Camara Island? Hoping to hear from you soon. Thanks.